The containers with valuable cache are located in the shop in bundles section. The container contains up to 5 items. They are listed in the contents. The container can be bought for . 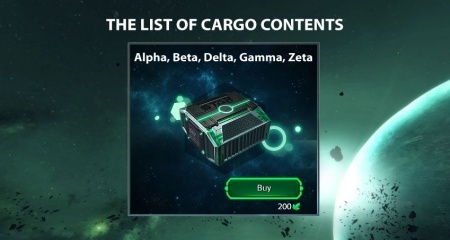 When buying a container the player always receives one of the specified items. The chances of getting particular items are different. Fleet strength increases chance of getting second container free. After purchase, the container disappears, but a new one appears on the next day. This page was last modified on 28 March 2019, at 18:59.